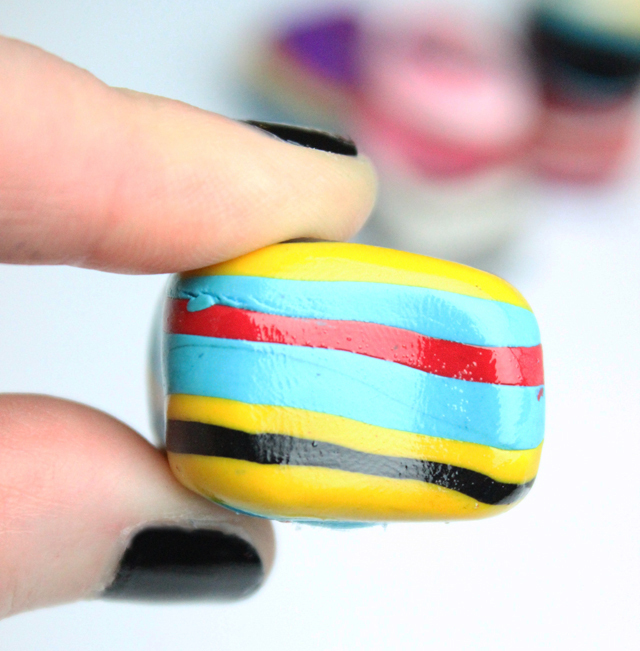 Polymer clay is such a versatile material and one of my favorites for making colorful jewelry. 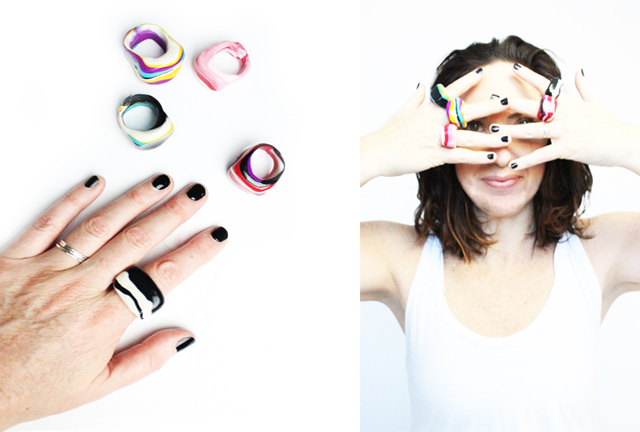 Big bold statement rings are one of my favorites project to create! 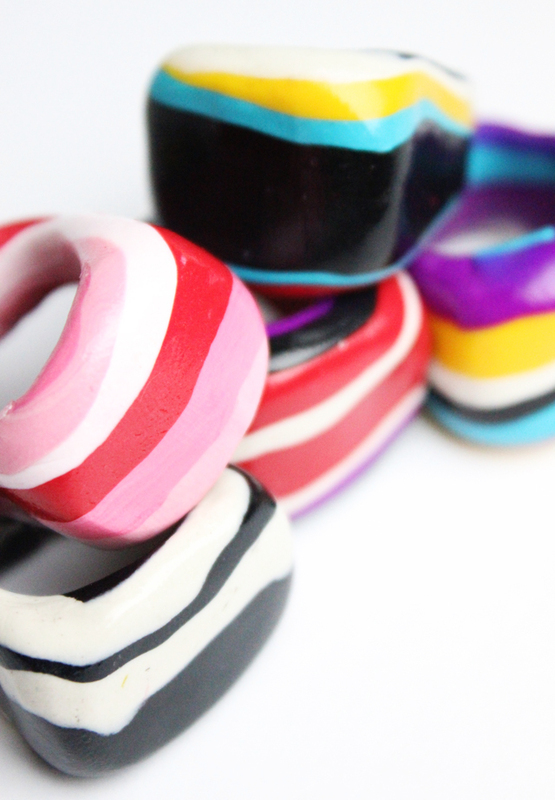 Begin by selecting a few different colors of polymer clay. Using the palm of your hand or a rolling pin (or even a pasta press), flatten the clay until it is stuck/blended together. 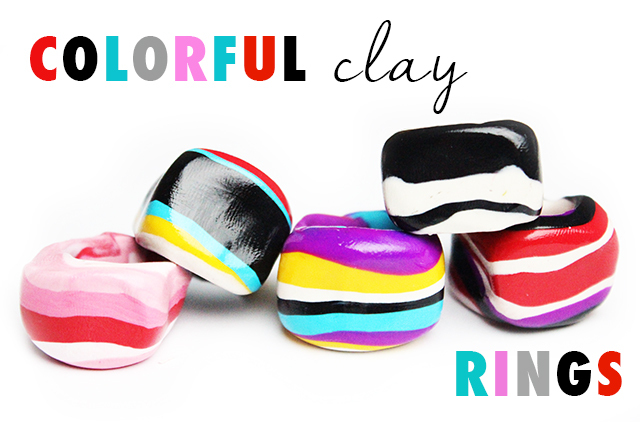 Grab another colorful chunk of clay and roll it into a ball. Please excuse my dirty painted hands! 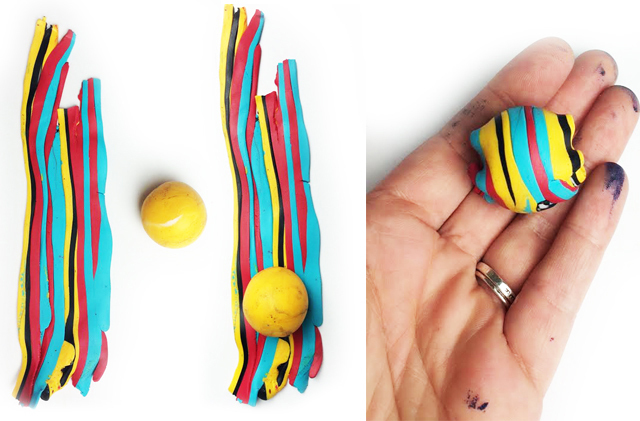 Wrap the stripes of color around the ball and roll in your hand until it is smooth. Lightly flatten the ball by pinching in between your fingers. 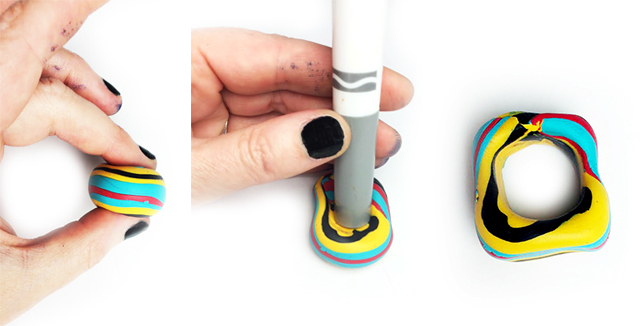 Next, grab something round and press a hole into the clay. Bake the clay ring in the oven according to the directions. 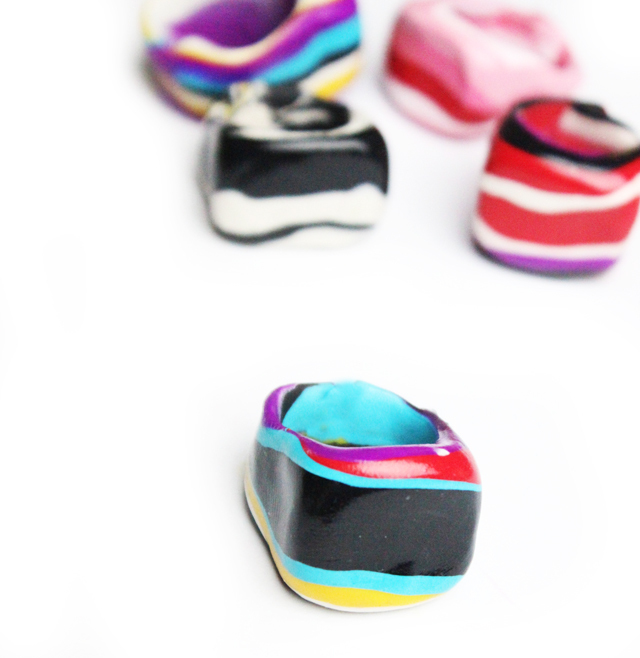 Once the clay ring has been baked and cooled, I like to add a light coat of polycrylic gloss to it. 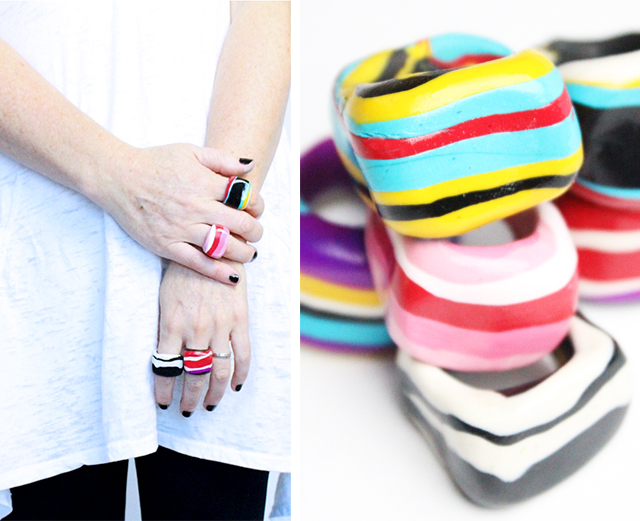 The result is colorful bold statement rings! Need to make these! 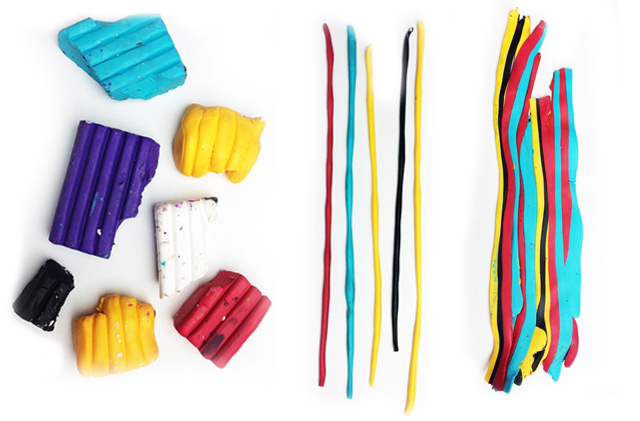 I have a ton of clay that is just waiting to be used! Love!!! !